Coming soon to Boston’s Seaport District! Pier 4 will be a collection of boutique luxury residences enjoying direct Harbor views on three sides. This nine-story, 100-unit condominium building with subterranean parking garage is being built on the site formerly home to the popular Anthony’s Pier 4 restaurant. The expert development team includes New York-based ShoP Architects, Cambridge-based landscape architect Reed Hilderbrand and developer Tishman Speyer. 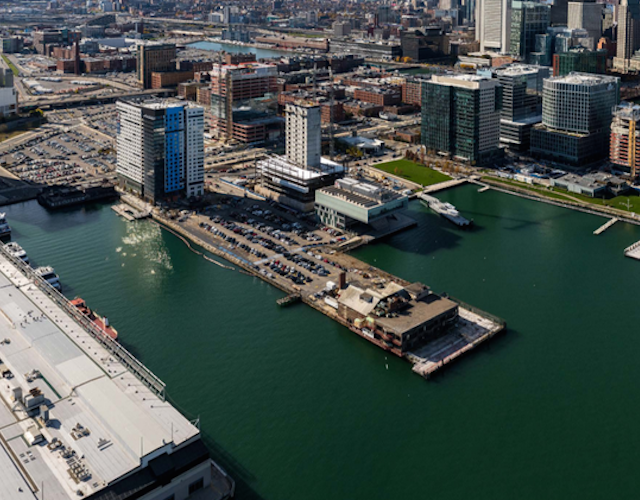 The mix-used plan for the site also includes a premier 13-story office tower, new retail options and public spaces, including a one-acre public park at the tip of the pier and the continuation of the Harbor Walk around the perimeter of the site. A public plaza will be located between the adjacent Institute of Contemporary Art (ICA) and the condominiums.